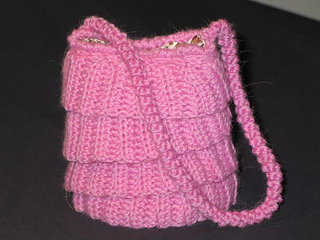 The Little Ruffled Handbag is a quick and relatively easy project. The construction is unique and it keeps the project interesting. The ‘corkscrew’ handle makes the strap less likely to stretch out of shape. Note: Both the knit and crochet version of this pattern will be included in your PDF download.